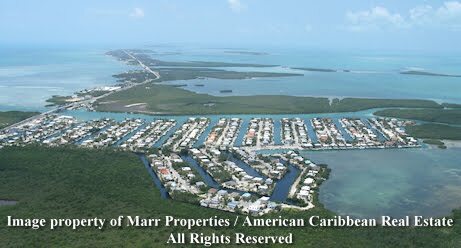 Venetian Shores is a very popular subdivision in the Upper Keys located at Mile Marker 86 on the bayside. It is a very popular choice with boaters, as it boasts some of the widest and cleanest canals in the Upper Keys. Homes are divided between two sides of Venetian Shores. Properties to the South of Venetian Boulevard are on open canals, meaning that the canals provide open access to both the bay and ocean via Snake Creek. Properties on the northern side of Venetian Boulevard are on plugged canals. These canals do not open and do not allow access to open water, although many of them have deeded dockage in the bayfront marina, thus providing them access to boating. Homes on the open canals offer either 75 feet of 100 feet lots, allowing for ample dockage right at your back door. Behind canals on the plugged canals, it is not unusual to see kayakers out getting exercise, paddling up and down the clean canals. True to it’s name, most of the streets in Venetian Shores are named with a Italian influence. As in Venice, the emphasis here is on a lifestyle situated in and around the local waters. In this neighborhood, you’ll find everything from cute conch cottages to multi-million dollar estates. Click here to see what is currently for sale in Venetian Shores. If you’d like to get updates to new listings and sales in this subdivision, sign in after viewing the listings and create a customized personal account. Here you’ll be able to create and save searches, email listings to friends and more. 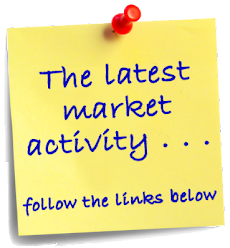 All free, with no obligation and no bothersome emails except for market updates. You’ll find the Log In button towards the upper right hand corner of your screen.